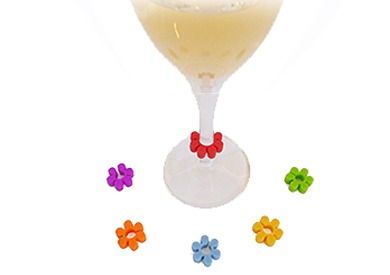 Whether you view wine "Charms" as cute or ridiculous, they are execute well on their intended purpose - keeping track of a wine glass in a crowded room. I selected these after experimenting with dozens of failed designs. Most silicon glass markers use suction cups, and these invariably fall off in just minutes. By contrast, a glass marker that fits tightly around the stem of your glass will mark it as yours for the rest of the night!